GM Global EPC 490.2 03/2013 - Electronic parts and accessories catalog for all General Motors cars of concern issued under the brands Buick, Cadillac, Chevrolet, Hummer, Light Trucks, Medium Trucks, Oldsmobile, Pontiac, Saab, Saturn for the domestic American market. The catalog contains information about cars and trucks. Work program GM Global EPC 490.2 03/2013 very convenient, there are lists of parts and accessories for the model chosen, as well as illustrations of all units and mechanisms of the car with numbered parts. 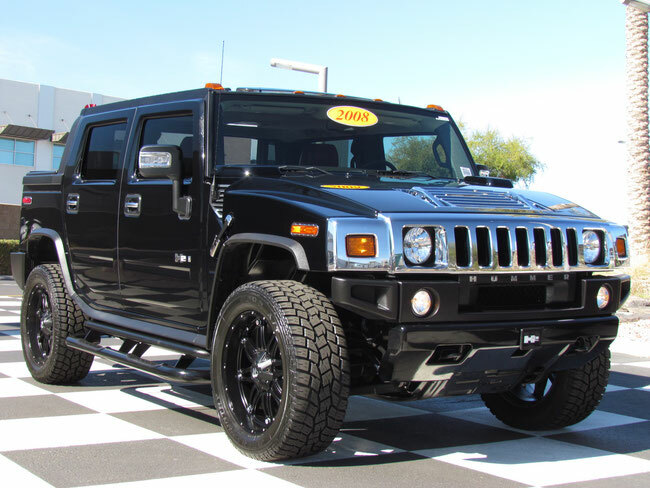 Hummer - the American brand. The machine Hummer on today has become a living legend. Cars of the brand symbolize high performance, unmatched power, durability and features that could not be repeated any manufacturer. Popularity world famous Hammer is still in its colorful history, which began in the days in World War II. Military history, recognizable look and unparalleled performance, all these factors we consider in more detail. In 1992 the assembly line came first military SUV for civilians - Hummer H1. But the history of the brand started much earlier. AM General has made conversion of the military Humvee utility vehicle, it happened back in 1979. This model became the basis for the creation of another 15 cars military vehicle modifications. Today, 8 of them are in service in virtually all armies of the world. The car gained worldwide popularity after participation in the war against Iraq. In 1992, the previous version has changed dramatically. Efforts suspension, vehicle load capacity has been increased to nearly two tons of armor became thicker changed powertrain. In the same year new vehicle entered service with the US military. Along with the release of a military vehicle, General Motors' developers have decided to bet on civilian SUVs. 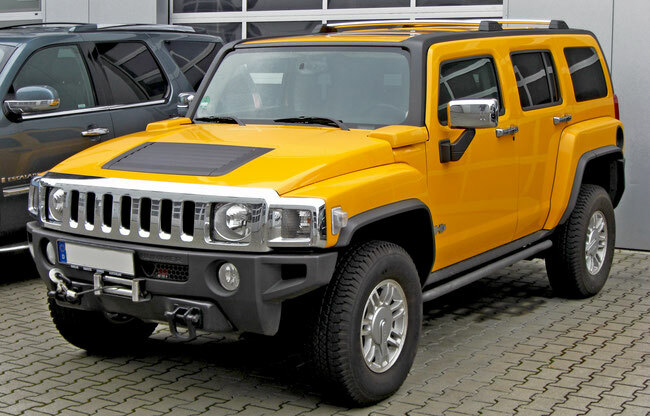 Thus were born the first generation Hummer - H1. To date, published three versions of the legendary Hammer. This H1, H2 and H3. Unfortunately, the company General Motors filed for bankruptcy, and the famous off-road vehicles to date is no longer available. The last car came off the production line back in 2008, the year. The company tried to sell the brand to one of the Chinese manufacturers, but the contract was terminated. The machine Hammer first model has a concise outline and brutal appearance. However, as two subsequent modifications. In front there are six ribs on the radiator grille. Each - according to the letter of the brand name. This is - a common feature for all generations SUVs. The technical characteristics and the army "bells and whistles" machine resembles rather the all-terrain vehicle. Centralized wheels paging system can punish flat tires at the touch of a button. But even if one of the wheels deflated hopeless - do not worry. So you can go even 20-30 kilometers. Despite the impressive size of this monster, living here is not very spacious. But the car is striking in its endurance. It can easily move forward even with a roll of 40 degrees. The generator and the fuse block is sealed, which means - the car is not afraid of water. The power of the diesel 6.3 liter engine - 170 horses. Torque - 394 Nm. These features are incredible, even after so many years, and there was a gasoline version of the engine with time, it is - 5.7 liter engine capacity of 190 horses. This jeep in size slightly less than its predecessor. Behind came the spare tire, which did not have the first version of the car. Externally, the car look like, but if they are placed side by side - the differences become more pronounced. Increased comfort, performance, improved sound insulation and the interior became more spacious. Six-liter engine power of 315 hp with all-wheel drive and a reinforced suspension can pull this little tank and out of the swamp and out of the quicksand. This model is the most compact among its earlier counterparts. The third generation is produced in station wagon and pickup. Third Hummer classified as a mid-size SUV terrain. All-wheel drive transfer case, the bridge from the pickup, increased throughput and ease of operation. These features many memorable Hammer third generation. Twenty-valve 3.6-liter petrol engine has a power of 244 horses and a torque of 328 Nm. 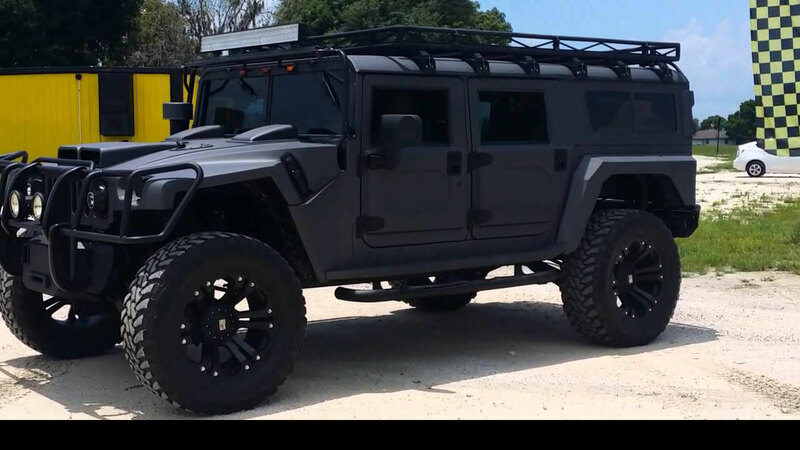 Buy Hummer H3 diesel in Russia can be today. But most likely, it will be a Hummer city.